By now you readers are used to these “virtual tastes” from my various tastings. 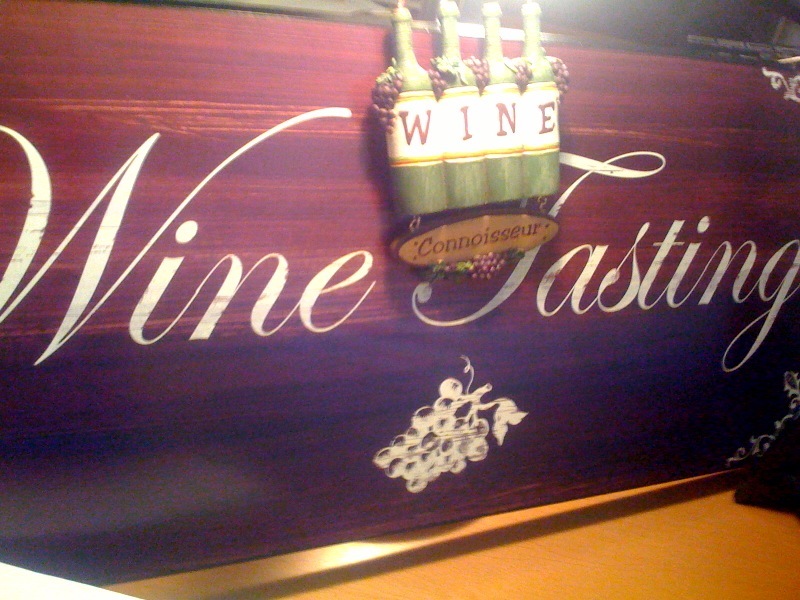 But, in case you are here for your first sip, a media/trade tasting, by definition, allows the wine/spirit maker or winery/spirit representative (rep) the opportunity to “sell” their product by talking about their offerings and pouring a small sample to writers, restaurant owners and shop owners. Now, onto some outstanding wines and spirits that were represented at the Henry Wine Group tasting. The total list of suppliers is below this text. I had 236 pages in my Tasting Book. And this time, instead of deciding in advance what to try, I walked over the entire tasting room at the Beverly Hills Hotel and then doubled back to sample just a few, very remarkable, wines and spirits when I saw that the reps were free. Suffice it to say in my three-hour-tour I missed quite a bit but there was no way I could taste for the full five-hours they had invited us for. Sent over by another rep to try their Grappas, I loved the Muscat for what the rep deemed was a great “starter” Grappa. I was lulled in by the sweetly scented nose, a more traditional taste and a slightly sweet finish. I followed that with their Pinot Noir Grappa and noted, “Gotta have it!” The other liqueur I noted was a new-for-me refreshing Eau de Vie Douglas Fir “tree spirit”. I might have to contact Steve McCarthy, the man behind some of these libations for “further study and review” as they were that amazing. (The rep explained it was pronounced Don-um and means donation in Latin.) ‘10 Estate Chardonnay, three Pinot Noirs: ‘08 Carneros, ‘09 West Slope and ‘09 Russian River were all outstanding. I was able to make a brief note on the Chard for its creamy nose followed by a balanced acidity and grapefruit on the palate. It was one of a few wineries that day that I not only knew but also didn’t have a crush of media clamoring, just yet, for a taste. I was able to sample all ‘10 Chardonnays: Sonoma Mountain, Vine Hill and McCrea and the ‘10 Sonoma Coast Pinot Noir. 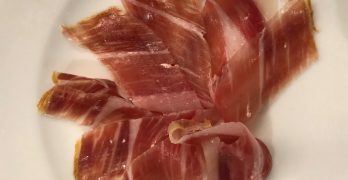 I stepped away from the tasting table and jotted down a couple of notes on the Pinot: aromas of tart black cherries, green fruit…and something that reminded me of a cool breeze off a lake. On the mouth that same tart cherry, green tomato…or something else green and vegetal, a dry finish that left my palate tingling. Out of Washington, the rep gave me an education on the state’s wines and boasted that his winemakers were experienced and knowledgeable. I enjoyed ‘08 Saggi’s blend of Cabernet Sauvignon, Sangiovese and Syrah, ‘07 Pirouette blend, ‘07 Chester Kidder, 08 Feather Cabernet Sauvignon, ‘08 Pedestal Merlot, and the ‘07 Sequel Syrah with its deep fruit aromas. I had been to the winery this past year, but the rep gave me a taste of the newly released ‘09 Spring Mountain District Cabernet Sauvignon. Outstanding. Another winery I was familiar with, so I restricted myself to the latest release, the’ 09 Santa Maria Pinot Noir. Exceptional. I enjoyed an ‘09 Merlot/Malbec reserve blend. Will keep my eye out for this wine. A reader had suggested I try these wines when they were offered a couple of years ago at the LA Wine Fest and they did not disappoint. I was equally happy to discover that they still didn’t! I enjoyed the ‘11 Cote de Blanc blend, ‘11 San Luis Obispo Backroads Zinfandel and ‘10 Arroyo Grande Valley Estate Zinfandel. I had dinner with Chris Phelps, the winemaker at Swanson, a few years ago and was anxious to re-taste Alexis. Today I sampled and enjoyed the ‘10 Napa Valley Pinot Grigio, ‘08 Oakville Merlot, ‘08 Alexis Napa Cabernet Sauvignon and the Instant Napa Cabernet Sauvignon. The “instant” according to the reps, was supposed to take you to Napa instantly. I liked the subliminal message…and it worked. Two very affable reps, one was the winemaker and the other the sales rep I believe, were very entertaining, as was the wines I tried: the refreshingly crisp ‘10 Vermintino, ‘10 Moscato Secco, ‘10 primitive and ‘09 Barbera. One of my top picks for the day was the Vinum Veritas label that included the ‘11 White Elephant Rhone blend, a ‘10 Red Dirt Red Grenache, Syrah, Mourvedre (GSM) blend that proved to be one of my fave GSMs that day, with The Scrapper Cabernet Franc was a close second. Under the Vinum label alone, with prices under $15 per bottle, I enjoyed the ‘11 Chenin Blanc Viognier, ‘10 Monterey Chardonnay, ‘10 Pinot Noir with its interesting mint-ish nose, ‘08 Merlot, ‘08 Cabernet Sauvignon and ‘09 Petite Sirah. I loved the sweet buttery floral aromas and fruity taste of their ‘11 California Chardonnay. This was my actual favorite winery of the day and I think it may have been the 10th wine (translates to pretty early in the tasting) I had tried. The three the winemaker brought included an ‘09 Sta. Rita Hills Chardonnay that I found refreshing and steely, the ‘09 Sta. Rita Hills Pinot Noir for its traditional cherry and stem flavors without a ton of alcohol or tannin (things I don’t like that some seem to be reaching for in Pinots) and the ‘09 Sta. Rita Hills Syrah that was both soft and then sturdy on the back palate. Want more. The 151-proof vodka was shown with three flavor additives, so mixologists could see how it would lend itself to their own flavored simple syrups. I tried it straight first, and I found it very clean with a little sweetness, with the flavors I found it irresistible: rhubarb, roasted pumpkin and clemencello. I met Matteo Meletti (He had traveled from Italy to share his liqueurs) and I for one didn’t miss a single one: a sharp Anisette, lingering Sambuca, new-to-me and very interesting Amaro (herbs and botanicals), thick Cioccolato and refreshing Limoncello. I hope to find these locally, and soon. I enjoyed their Old Scout Bourbon, Gin and Rye. I especially enjoyed having John Little, the VP and master distiller, there to talk about his products. When he mentioned, “pipe tobacco” in regards to the Bourbon, he had me. I hate when reps tell me what I’m going to taste in their wine, maybe it’s because I just want to find flavors myself, but as a Bourbon-novice, Little’s help was appreciated. Smooth and easy to drink, I was enamored with some of their marketing ideas: the cap could double as a shot glass and, their Thrive label had additives of vitamin B complex, vitamin C and electrolytes to stave off hangovers! 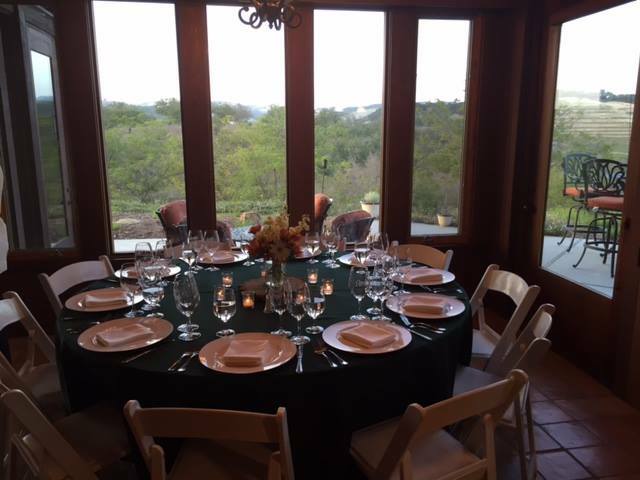 We hadn’t visited J Dusi in some time, but in our quest to share with our family members what makes Paso Robles special to us, it seemed almost a requirement. After all, the name Dusi is practically synonymous with Paso Robles. Janell Dusi [the J in J Dusi] has been making wine commercially since the 2006 vintage. But the Dusi vineyard is much older than that, planted in 1945 by her grandfather Dante, who, sadly, passed away late in 2014. 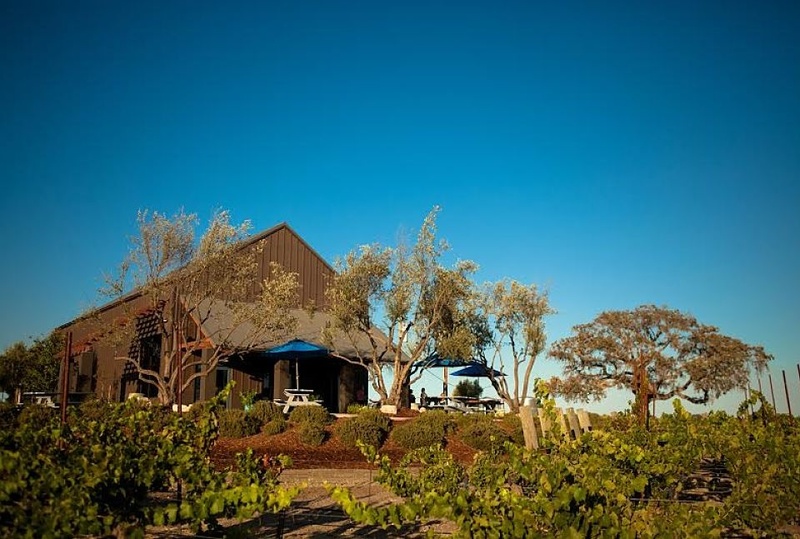 Since the vineyard was planted, Dusi Zinfandel has been prized for its distinct full flavors and the grapes have long been sold to discerning wineries such as Turley, Cypher and Tobin James. 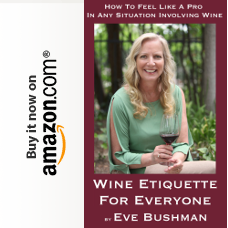 But no wine was made commercially by the Dusi family until Janell decided it was time to do so. And even though family members had long said that they were growers and not winemakers, when Janell was ready to make that leap her family supported her wholeheartedly. My wife Karen and I first tasted Janell’s wine [that inaugural 2006 vintage] at a Paso Robles wine country “road show” of sorts held at a hotel in Santa Monica. Pretty sure it was the star of the show that day. It wasn’t long thereafter that we paid a visit to Janell at her parents’ home on the Dante Dusi Vineyard, dragging along some friends to whom we had raved about our new winery discovery. Multiple visits with multiple friends followed, and always the Dusi family has been incredibly welcoming, enthusiastic and gracious. And I’ve visited a lot of vineyards in my day. Some of them just feel special. Nowhere have I felt this more than at the Dante Dusi Vineyard. There is just such a “sense of place” about it to me. 2014 Pinot Grigio – clean and light; a perfect way to refresh our palates. 2013 Zinfandel from the Dante Dusi vineyard – another zin hit out of the park by Janell; consistently one of my favorite wines. 2012 GSM [Grenache, Syrah and Mourvedre] – delicious blend; really noticed the Grenache. 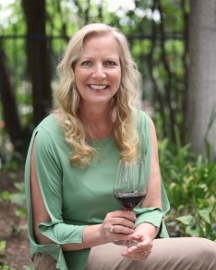 2013 The Don [blend of Sangiovese and Cabernet Sauvignon] – one of the advantages of Janell’s new winery is she gets the freedom to try new things such as this Super Tuscan blend. Admittedly I am not usually a fan of California Sangio but this was an exception to the rule. 2013 Caterina’s Syrah – always a solid bottle from J Dusi. Not on the tasting list but one I just needed to try [and buy] was the 2013 Petite Sirah. Just one barrel was made of this wine, and the label marked the exact location in the vineyard the grapes came from. A massive wine, but deliciously so. I’d lay this one down for a while. 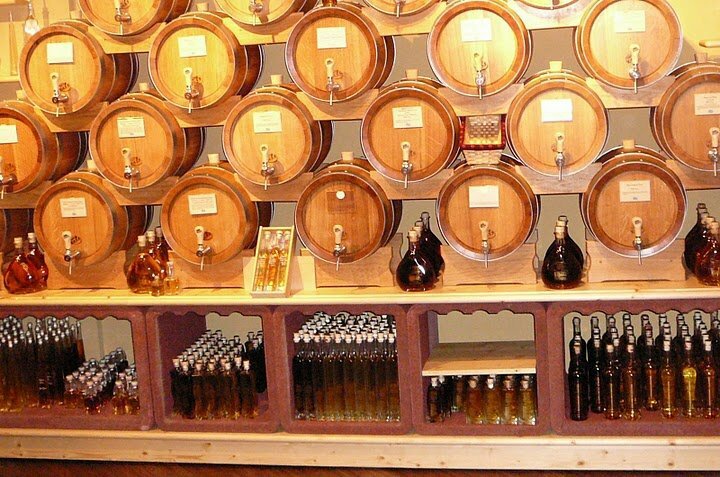 Finally, a visit to J Dusi would not be complete without tasting Janell’s famous grappa. 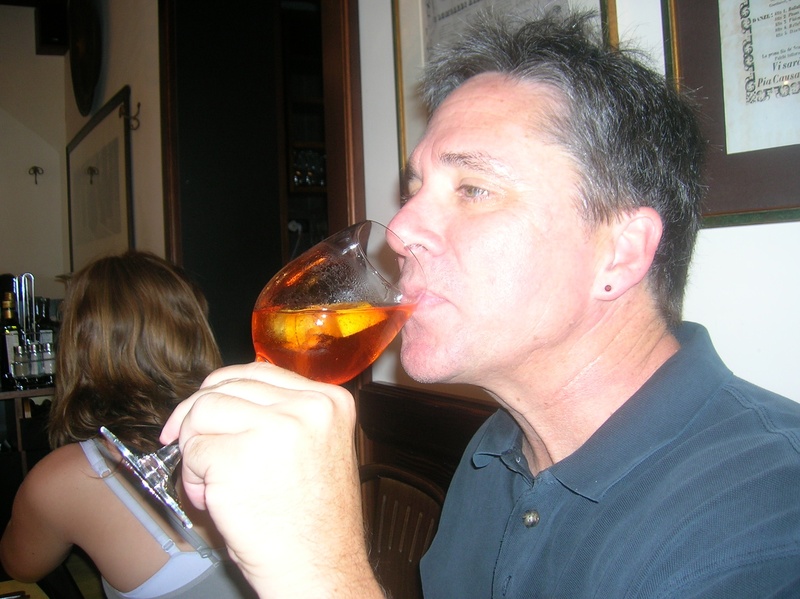 I’m a fan of grappa, some more than others. Janell’s really allows the zinfandel flavors to shine through. As we said our goodbyes to Janell and Joni, it really felt like it had been a homecoming. Even though I miss the vineyard [which I hope to visit again one day soon], home is more about the people than the place anyway, right? Opolo Vineyards donated two different spirits to the recent Cocktails on the Roof non-profit event I co-hosted. They were very generous in sending a total of 3 cases for our 400-person event…and since they sent the cases to me…I asked if I could pilfer a couple of the bottles to drink…err taste…and they said yes. Truth be told even more, I had tasted their grappa during a recent visit with distiller Paul Quinn but the other spirit I received for our event, the pear brandy, was still being made. Excerpt from back label: “…The aroma and flavor of the brandy should feel exactly like biting into a ripe Bartlett pear. Serve chilled or neat. Aroma: Yes, I do get fresh cut pears, then a bit of hazelnut, almond, yogurt, vanilla, juniper, lime, mown grass, suede…my imagination ran the full gamut of memories this one called up. Flavor: Lots of pears in light pear syrup, banana, rye toast, unsalted butter, viscous and a pleasant burn that ends in a nice round finish. (Note: I often use brandies, liqueurs and even flavored vodkas instead of vermouth in a vodka martini. The whisper of a flavored spirit can enhance your vodka, and not make it cloyingly sweet like say a Cosmopolitan or Lemon Drop Martini. This Opolo Pear Brandy would lend itself well to that approach.) 96 Eve pts. Aroma: Welcoming as there is no burn, toffee roasted walnut, black licorice, baked red delicious apple, creamy finish. Flavor: There’s the burn, but only at the finish as expected. Robust viscosity and mouthfeel, fresh cut anise, Mandarin orange and meringue. Wholly pleasant. Would be a great aperitif or digestif in my opinion. 96 Eve pts. With Opolo’s rich ties to the Balkan coast, co-owners Rick Quinn and Dave Nichols have combined their winemaking expertise with traditional recipes to create complex fruit brandies. 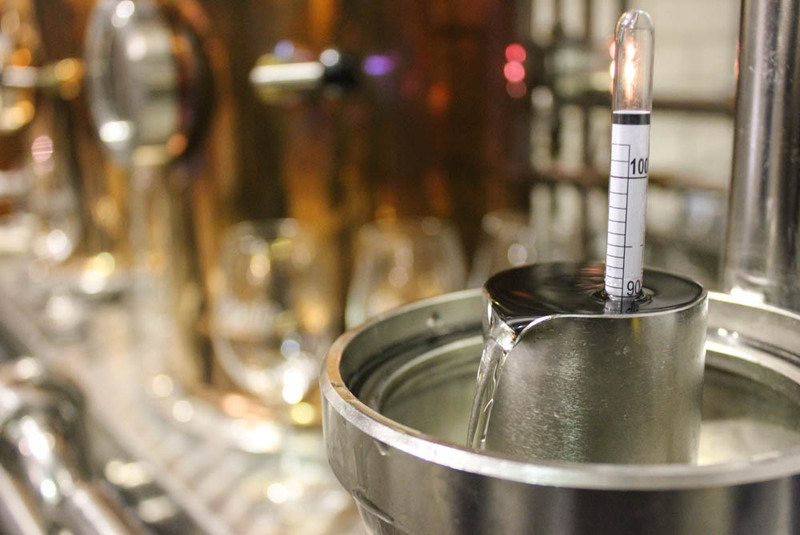 Distilled from the fermented fruit itself, the brandies have not been adulated with added flavors. 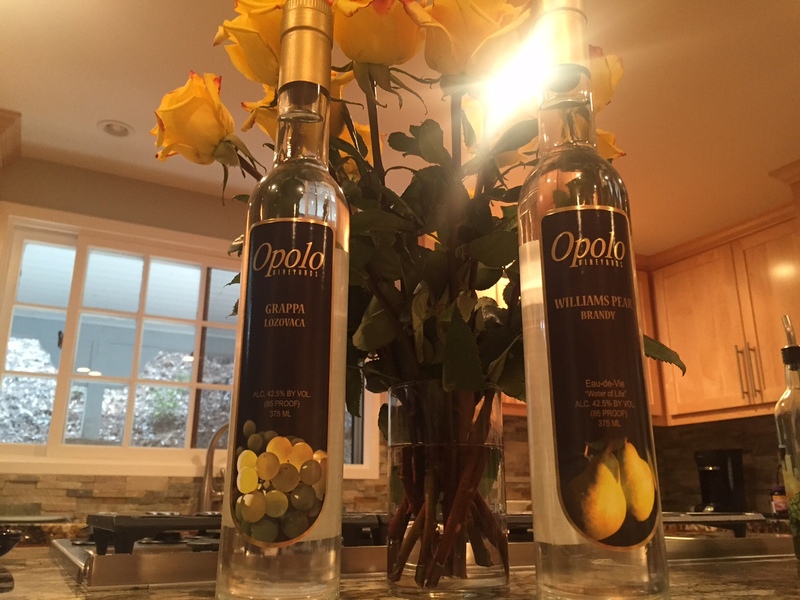 Our first release includes Grappa from Opolo’s estate grown Muscat Blanc, a William’s Pear Brandy distilled from northern California Bartlett pears and a Nocino, a walnut based liqueur made from our organic estate walnuts. 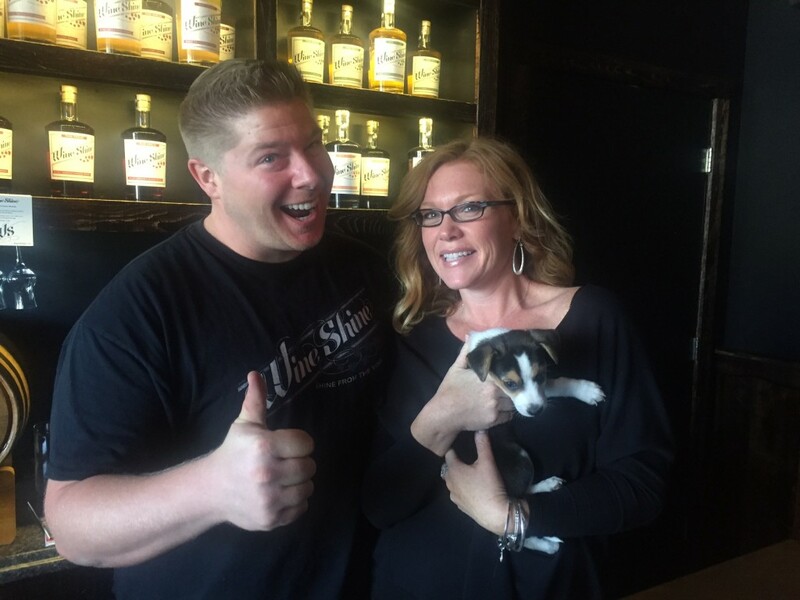 Come by and experience the distillery! Available for purchase in the Tasting Room. The Henry Wine Group is a wine and spirits distributor with an excellent portfolio. Every couple of years, they give the trade and media an opportunity to taste a large sampling of their offerings. They call these events “Taste The World” and the most recent one was held on May 20th at the Beverly Hills Hotel. Vic Herstin and Michael Perlis. The lineup was huge [the tasting book was 218 pages], and I have long ago stopped attempting to taste as many wines as possible at these kind of mammoth tastings, preferring to focus on less quantity and more quality, spending some time to chat with the winery owner, winemaker or winery representative and learn more about the winery and the wines I am tasting. 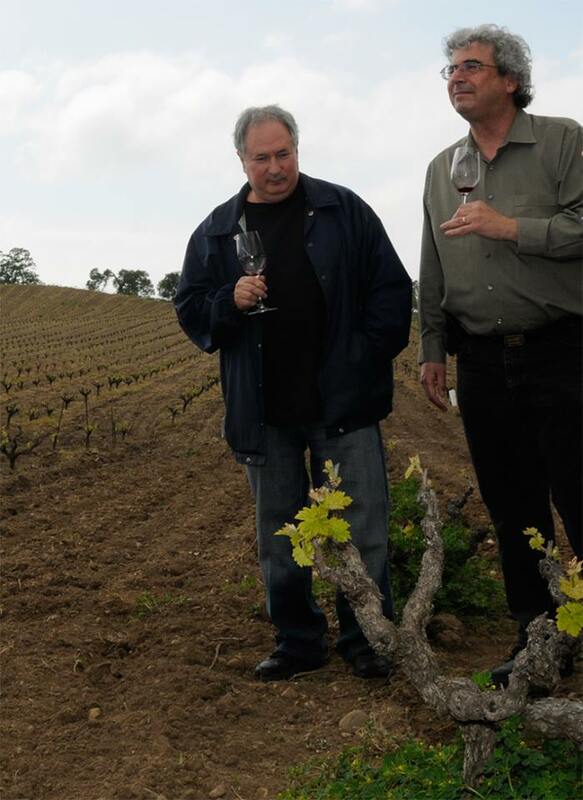 A special treat for me was being accompanied by local Santa Clarita Valley wine [and guitar] legend Vic Herstein. I’ve been fond of the Dashe Cellars Zinfandels for a long time, although they may come as somewhat of a revelation for drinkers used to the higher octane versions of this varietal. 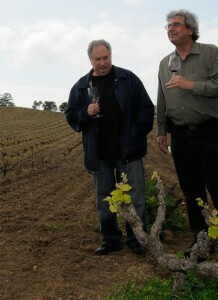 As I mentioned above, I had the chance to hang out with Vic Herstein at this tasting. It was a great opportunity to taste the Alto Moncayo wines from Spain together, as he was the one who introduced them to me several years ago. All Garnacha [Grenache] and all excellent. And while I didn’t spend much time in the Spirits section [see Eve’s article about that], I did have to try the grappa offerings from Oregon’s Clear Creek. Both the Muscat and Pinot Noir grappas were outstanding, as was their cassis liqueur.